Amazon FBA vs. Vendor Central - What you need to know! Amazon FBA vs. Vendor Central – What you need to know! So, you have a Vendor Central account but aren’t sure whether it is actually right for you? Or maybe, you have been running Amazon successfully using FBA and have now been invited to Vendor Central and you’re not sure what the best option is? Well, here we will detail the ins and outs of both to try and help make your decision a little easier! Vendor Central is an invite-only platform which allows brands to sell their products directly to Amazon, FBA (Fulfilled by Amazon) is an optional service within Seller Central whereby the brand sends stock into an Amazon fulfilment centre and Amazon will then handle packing, delivery and customer service. FBA is an optional service which sellers on the Amazon marketplace can utilise to ease fulfilment and also try and increase conversions and ultimately sales. Listings which have been enrolled in FBA become eligible for Prime, meaning free next day delivery for Prime subscribers. This is the major driver in terms of increasing conversion. 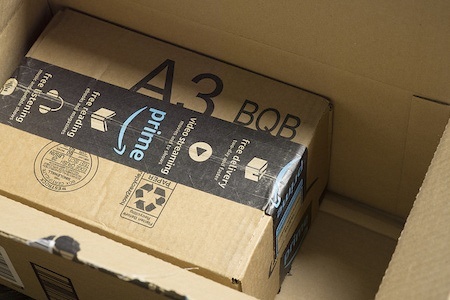 FBA products are stored in one or more of Amazon’s fulfilment centres with picking, packing and delivery all handled by Amazon when a customer orders the product. After sales customer service related to deliveries etc. are also all handled by Amazon. There are costs associated with using FBA and these will depend on the size and weight of the products that you are selling, you also need to be mindful that there are storage charges associated with any listings in Amazon’s fulfilment centres. What are the FBA fees? Suitable only for small products that are less than £9. Suitable for any products, regardless of price with dimensions less than or equal to 45 x 34 x 26 cm and weighing less than 11.9kg. Suitable for any products, regardless of price with dimensions and weights that are above those outlined for the standard FBA above. The FBA storage fees are calculated based on the daily average volume in cubic feet per month and vary according to the time of year. Perhaps one of the most important aspects with using Seller Central and FBA is that you remain in control of the pricing structure. If you want to lower or raise your price you can do so within a matter of minutes. This is particularly useful if another seller is trying to undercut you, or if you need to make slightly more margin on each item sold due to an increase in production costs for example. Of course, there are other costs which you should be aware of with Seller Central (not just FBA) including referral fees (typically 15% but do vary according to product category). Vendor Central should be viewed in a similar way to any other retail customer. Essentially, with Vendor Central Amazon becomes your customer, not the end user searching on the site. You will agree cost prices for your items with Amazon and it will send POs (purchase orders) on a weekly basis for the products that it wants to stock. So, after all of that you want the answer to your question… Amazon FBA vs. Vendor Central? For large businesses who are au fait with fulfilling POs, have a good logistics understanding and are able to regularly ship products to Amazon then Vendor Central could be a good option. These businesses will just need to consider pricing (and be prepared for Amazon to ask for reductions to the cost price…), payment terms are likely to be similar to many other customers so this isn’t likely to cause too much concern. However, for smaller business who have been successful on Seller or have a Vendor account but are not happy with payment terms etc. the FBA on Seller Central would seem like an obvious choice. The 7-14 day payments terms can solve any cashflow issues, the pricing is dictated by the seller and not Amazon, allowing for flexibility and ensuring that an existing pricing structure outside of Amazon isn’t sabotaged by cheaper Amazon prices all whilst still offering Prime customers free next day delivery. Lots to think about and we can help! If you would like to discuss your Amazon strategy with us and see which option may be the best fit for your business then feel free to get in touch with the experts here at Marketplace AMP. Try our Amazon marketplace audit to check your performance.